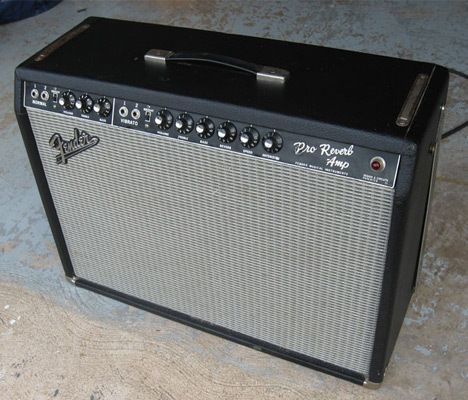 This is a vintage 1965 Fender Pro Reverb black face amp. 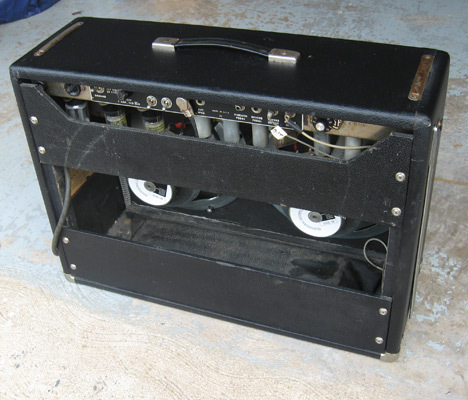 It is in excellent condition and has been professionally recovered in black tolex. As well, it has had a new grill cloth installed and the electronics have all been check out and are in good working order. This amp comes with a custom made amp cover as well as a foot pedal for the reverb and tremolo. 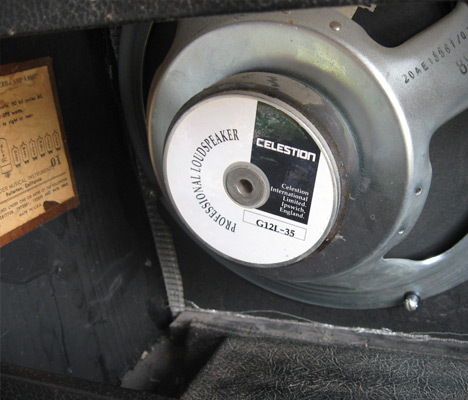 The speakers have been up graded to Celestion G12L-35 speakers. 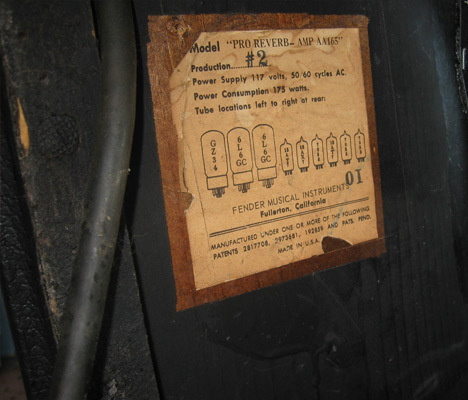 The amp is all original (except for the speakers) and in very good working order. This amp is considered by many to be one of the best guitar amps Fender ever built and has a beautifully warm tube amp sound.